1. In the Default Country dropdown, choose the default country you want to be selected on your signup form. 2. 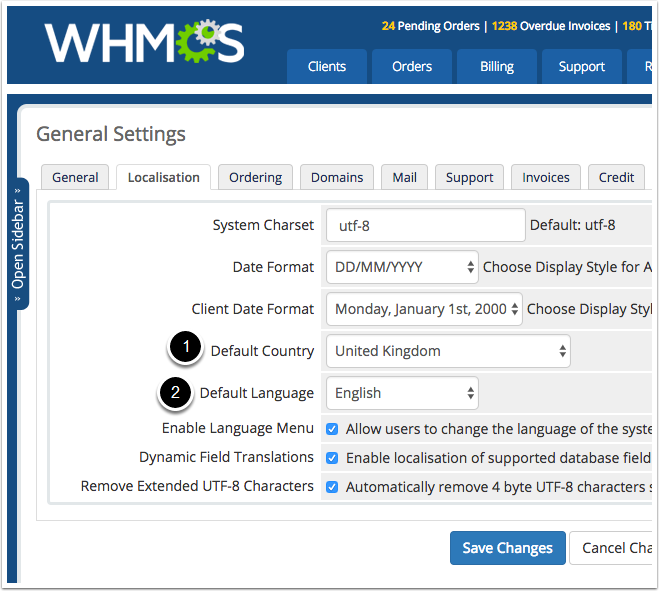 In the Default Language dropdown, choose the default language you wish your visits to see when they first visit your client area/signup form.